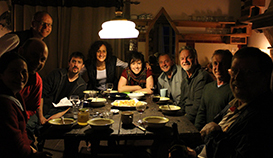 Wow, the making of Ann Marie is complete. I thought I’d whack up a quick video to let you know what she sounds like. 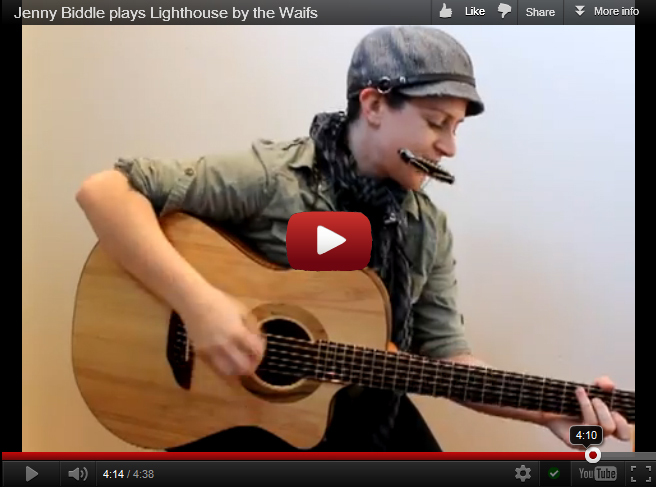 In this video I’ve done a version of Lighthouse by the Waifs. 27/3/2012 10am-5:30pm. 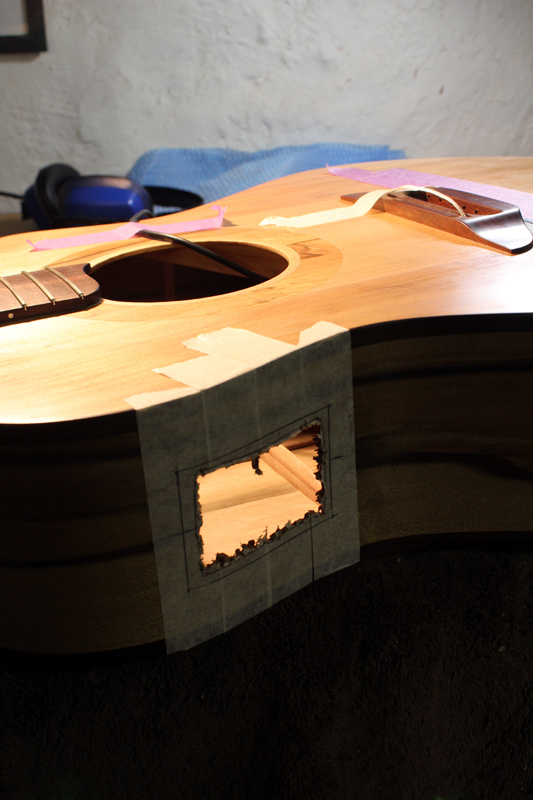 Shaping the neck, heel block and headstock: Lots of carving, filing and sanding today. 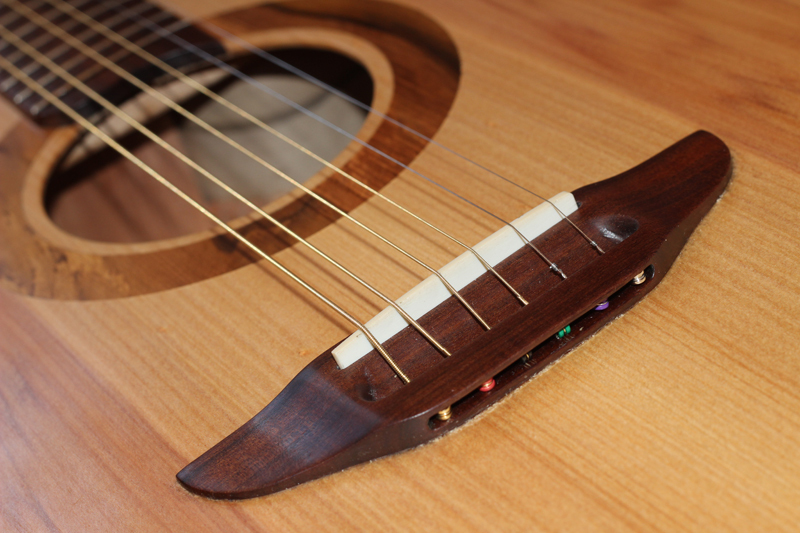 This has been one of the most magical parts of the guitar-making journey. To carve a neck, heel block and headstock out of a chunk of wood feels amazing. DAY 18 – 19/3/2012 10am-4:30pm. Oh the irony. My first session back since shaving my noggin’ for the World’s Greatest Shave, and the first tool Chris hands me to get on with my guitar is a hair dryer……. DAY 17 – 15/3/2012 1pm-5:30pm. Super productive day today. Bang, bang, bang. I routed a space for the bindings, hand bent the bindings, and glued them to the body! DAY 12 – 8/2/2012 10-4pm. I am SO stoked! The two side pieces are now bent into the shape of my guitar. I left them clamped into frames over two days, and released them from the frames today. VOILÁ! The sides held their newly bent shape. They look amazing. Day 11: To BREAK or not to BREAK! /wp-content/uploads/2017/08/jenny-biddle-logo-17.png 0 0 jen /wp-content/uploads/2017/08/jenny-biddle-logo-17.png jen2012-02-06 12:00:222012-11-06 10:30:33Day 11: To BREAK or not to BREAK! 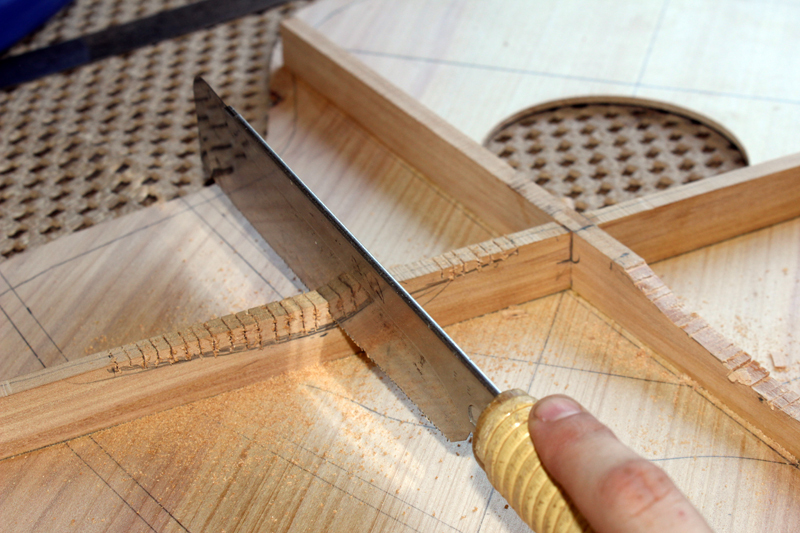 Creating bracing for the soundboard: Today was all about creating the bracing for the soundboard. This is a detailed process, and there’s a set formula/layout to follow. Altering this formula will have a profound effect on the distribution of the sound across the soundboard, thus altering the sound/tone.